Jean Sibelius Academy Helsinki, violin: 5. 7. - 14. 7. The Finnish violinist Päivyt Meller graduated from the Sibelius Academy, Helsinki. In 1979, at the age of 15, she was accepted to study with Josef Gingold as his youngest student in Indiana University. In 1982 she was chosen into the Artist Diploma program. Later she studied with Victor Liberman in Utrechts Concervatorium in Holland and the last year of her violin studies she spent at the International Menuhin Music Academy in Gstaad Switzerland on full scholarship. 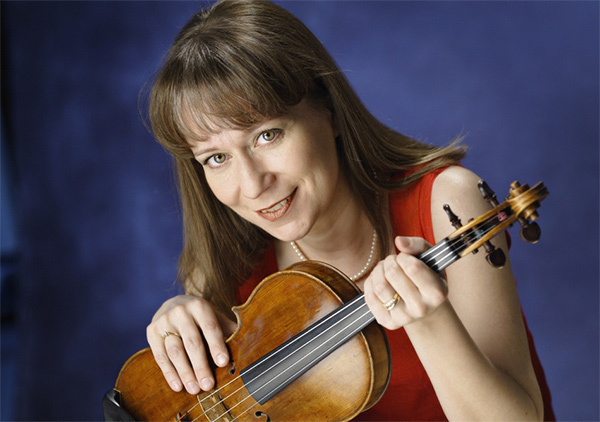 Ms. Meller is currently Senior Lecturer in Violin Music at the Sibelius Academy, where she has been teaching the violin since 1990. She held the position of the 3rd Concertmaster of the Finnish Radio Orchestra 1987-89. She has been Artistic Director of Raudaskylä International Master Classes as well as the Founder and Director of Camerata Caprice Chamber Orchestra, co-operating with projects of Pinchas Zukerman.Aside from authoring numerous articles, she has written a book introducing Tatiana Pogozeva´s particular Russian method of teaching violin playing to children. Ms. Meller is frequently invited to give master classes in many prominent schools (for ex. Eastman School of Music, Indiana University, Jerusalem Academy of Music, Hong Kong University) and music festivals (for ex. Summit Music Festival in New York, Bled Festival in Slovenia, Kuhmo Chamber Music Festival in Finland). Ms. Meller has performed chamber music with Mikhail Kopelman, Ralf Gothóni, Alexander Rudin, Yuri Bashmet and many other prominent musicians. She has performed as soloist with the Finnish Radio Orchestra with Leif Segerstam and Jukka-Pekka Saraste conducting, as soloist with Camerata Lysy, together with Sir Yehudi Menuhin. Her international career as soloist and chamber musician continues. In 2011 Päivyt Meller was asked by the Rector of the Sibelius Academy to establish a program of distance learning in the school. Today she is the Academic Coordinator of Distance Learning in Sibelius Academy of the University of the Arts, Helsinki. Päivyt Meller plays Nicola Gagliano violin (1777), the property of STALA Oy.